Two years ago, RK Ilagan was the golden boy of the San Sebastian Golden Stags. The point guard from Tondo was fast, ambitious, and boy, could he shoot. Ilagan quickly established himself as one of the most dangerous outside shooters in the league: the highlight of his rookie year was the time he made seven threes to bring the Golden Stags’ to a four-game streak. “Inborn na ‘yan sa kanya,” Coach Egay Macaraya quipped at the time. In his sophomore year, Ilagan percentages dipped as the other teams zeroed in their defense on him, but he was still hailed as an key player in their furious run to end the season at third place. There were high expectations for NCAA Season 94—until it came crashing down. 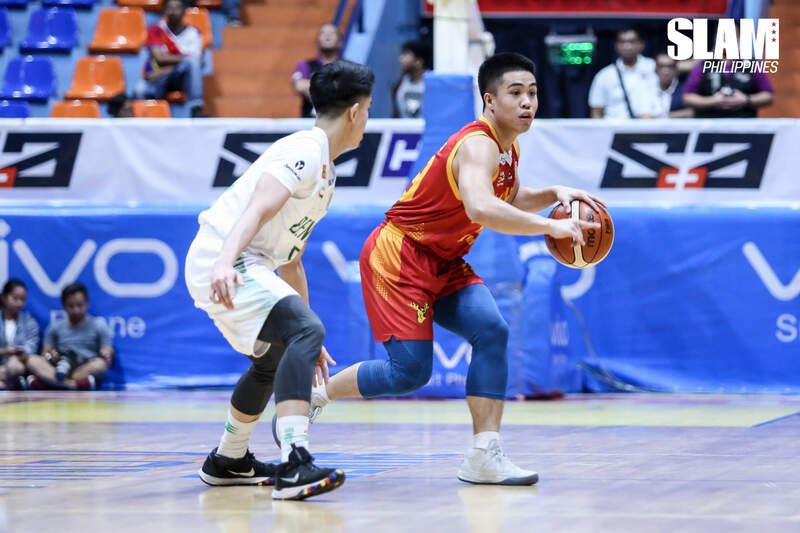 Midway into the first round, San Sebastian forfeited two of their three wins after the NCAA found that Ilagan played in a ligang labas (unsanctioned tournament), dropping them to last place at the time. Ilagan was also suspended for the rest of the first round. It was a blow to the team’s firepower as well as their morale. Ilagan regrets everything. That forgiveness was all the motivation he needed. Ilagan trained with their Team B every morning, determined to be in fighting shape for the remainder of the season. When you watch him play now, he’s bulkier than he used to be. That’s because he also took up an offer from a friend who ran a gym to add a personalized strength and conditioning routine every afternoon. Right now, Ilagan and the Golden Stags have their work cut out for them. They’re no longer in last place with a record of 3-9, but have a long way to go before they can say they’re in contention for the Final Four. Whatever the result, though, Ilagan has pledged himself simply to play his best and to play with honor. “Kahit ano, willing akong gawin para bumawi,” Ilagan shares.